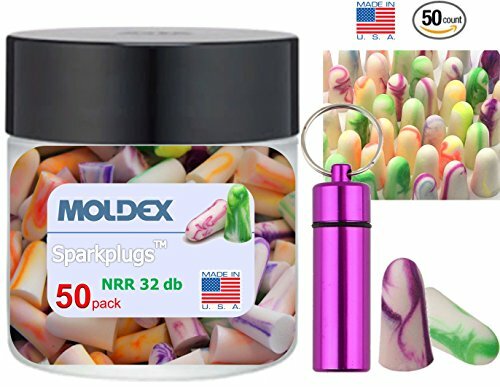 USA Made Moldex Disposable Foam Earplugs best ear plugs noise cancelling 50 count in a jar with aluminum carrying case. 50 count (25 pair) USA made earplugs in FDA approved, BPA free plastic reusable jar. Self-adjusting foam expands to fit virtually any ear canal, offering excellent noise reduction. Smooth, soil-resistant closed-cell foam skin helps prevent dirt build-up. If you have any questions about this product by American Premium Products, contact us by completing and submitting the form below. If you are looking for a specif part number, please include it with your message.